I open the drawer to rummage quickly through my messily piled up clothes. I have just five minutes to find something to wear. He’s waiting for me on his scooter for a quick ride before dinner. Today is the first day of summer. We’ve been living together for three months now, sharing sleepy and silent breakfasts and late night work, though I fell like we’re having a romantic first date. I choose a blue and white striped cotton pullover and I style my hair into a braid to tame my curls. My idea o a casual summer outfit is still strongly anchored in the 80’s fashion. He hands me my helmet, I get on the scooter and we leave for what looks like an adventurous ride, among golden wheat fields, grazing cows in the distance, stone villages perched on the hilltop and recently shorn sheep, which raise their head from the grass as we pass by, releasing in the wind the silver tinkling of their bells. This is the Tuscan countryside in summer, a beautiful postcard. It is right outside our front door, yet sometimes you need a date and the right clothes to realize it. As the fields roll fast around us I finally had the feeling of summer on my skin. I felt it again at dinner, when you could still hear the hypnotic cicadas sing from the cypresses around the garden. 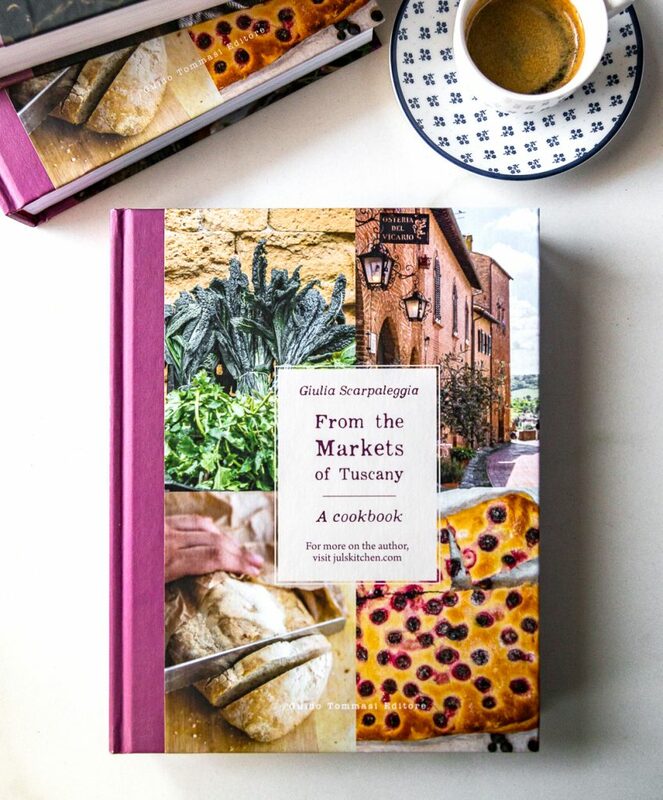 In the last weeks I had the chance to live meaningful experiences, first in Alassio for Annette’s food photography and styling workshop, then in Provence with Giuseppina. I also managed to finally carve out some time to think and to read. Following one of Annette’s wise advice, I decided to use this summer to better understand who I am and what I want to do, but mostly to figure out how to do it, to find my own style, a clearer voice, my own unique way of being. You can not change overnight, you can not choose a path in a few hours. Three months, the brightest, warmest and most sunny three months of the year look like the perfect amount of time to work on myself. Three months of summer to hone my voice, my style, my expertise and our many projects. 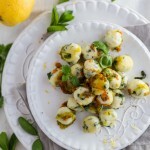 A dish of pure white ricotta gnocchi speckled with herbs ushers in an awareness journey. They are elegant in their simplicity: who wouldn’t want to be defined like this? 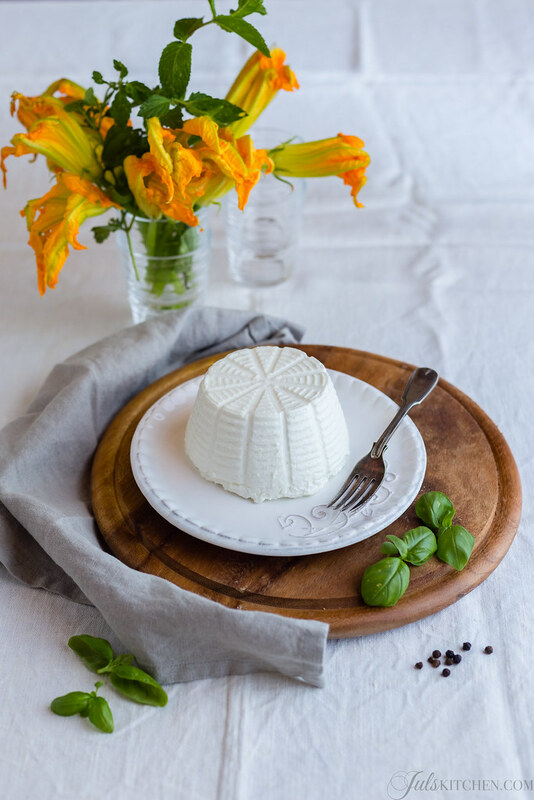 We use a great deal of ricotta here in Tuscany: it’s one of my favourite ingredients for cakes, savoury and sweet tarts and pasta dressings. I add a spoonful of ricotta in a bowl of fresh fruit for a light end of a meal, but also to castagnaccio in winter, when I want to show the best of our cuisine during a cooking class. It was my first time with gnocchi, though. I’m not a huge fan of gnocchi, or rather, I was not a huge fan. Since I started to make them from scratch I realized their potential, deeply understanding those who consider gnocchi one of the most comfortable food we have at hand. I prefer to shape them as tiny as hazelnuts, soft as pillows, I want my gnocchi to melt in my mouth blending with their seasoning. 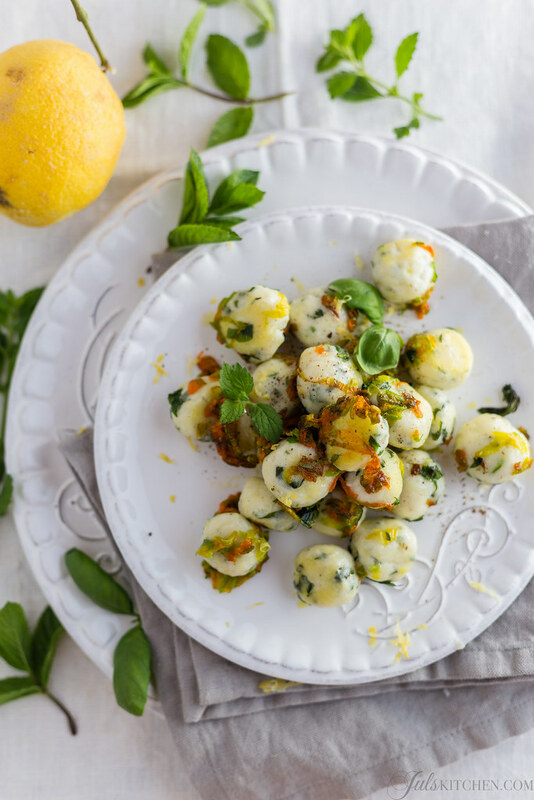 The best seasonal fresh herbs shine through these ricotta gnocchi: mint, basil and lemon balm add a fresh and green note enhanced by a bouquet of zucchini blossoms used an unusual seasoning. It’s like biting into an early summer evening, like a restoring nap among bushes of fresh herbs in the shade of a quiet garden. Use a fresh and well drained goat ricotta. If it is too liquid, put it for a few hours in a colander as to drain the excess liquid. It will be easier to make the gnocchi, you will use a smaller amount of flour and the taste will benefit from this. Finely chop the herbs. Choose the amount of leaves to use accordingly to your taste, being careful to balance their aroma: I used twenty leaves of each herb. Mix the ricotta with the flour and add the chopped herbs, then season with salt and pepper. Leave the dough in the fridge for at least an hour covered with a plastic wrap. 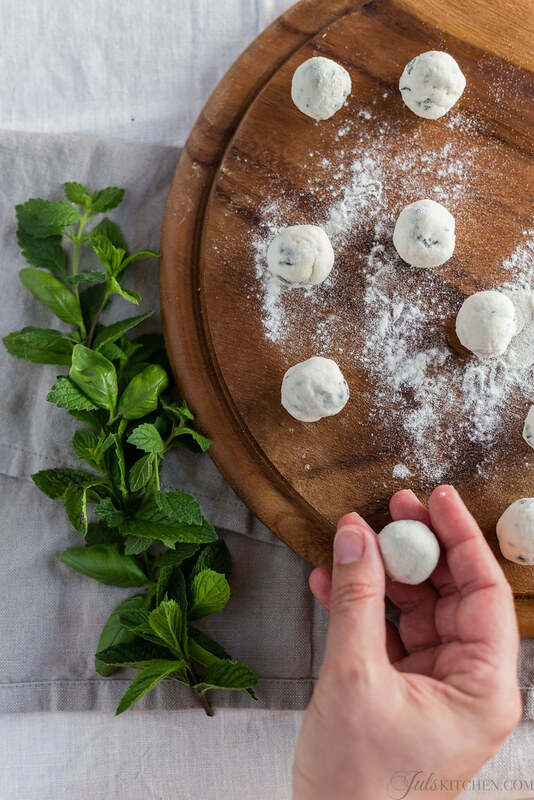 Prepare the gnocchi using a tea spoon as a measure: form little balls slightly larger than a hazelnut and roll them in your hands generously dusted with flour. As they are ready arrange the gnocchi on a floured cutting board. Bring a pot of water to the boil to cook the gnocchi and prepare the seasoning in the meanwhile. Thinly slice the zucchini blossoms and the herbs: again, choose the amount of basil, mint and lemon balm you like, I used about ten leaves of each herb. Pour a few tablespoons of good extra virgin olive oil in a pan, add two cloves of crushed garlic, the zucchini blossoms cut into strips and the herbs. Let them cook over medium heat for less than a minute, season with salt and pepper, then remove the pan from the heat. Cook the gnocchi in boiling salted water until they float to the surface, drain them and throw them into the pan. Saute the gnocchi with the zucchini blossoms and the herbs for a minute or two. Let some of the gnocchi get slightly golden brown: they will be even better. 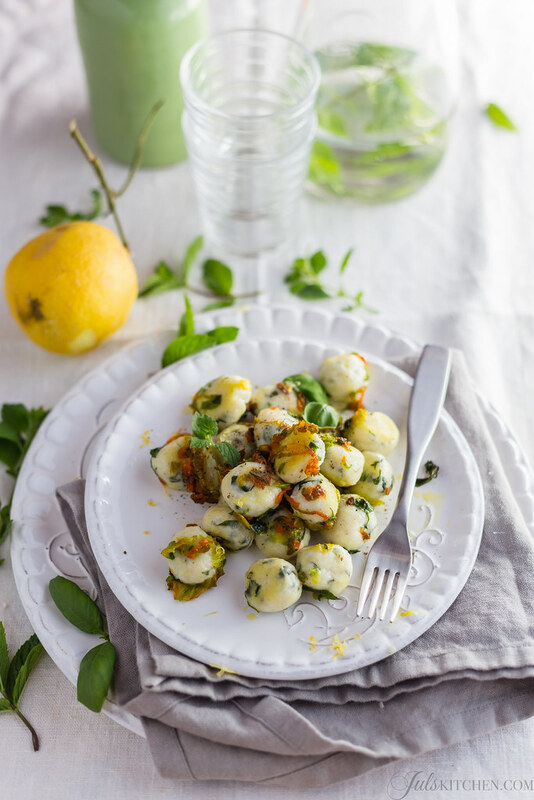 Serve the gnocchi with a sprinkling of grated lemon zest to add a fresh and citrussy note. As you might have realized in the recent posts, I began a collaboration with DishesOnly, a website where you can find beautiful Italian dinnerware. It’s really much easier to take great pictures when you can use these dishes, bowls and platters which enhance the food and make it immediately more attractive. Discover all their collections online here. Hello Katia, I never tried, but probably you can give it a go! Giulia, I absolutely love your posts. Your recipes are always spot on, and your photos are incredible, but I think my favorite is the stories that you always include. I am so excited to finally try your cooking class this month! On another note, I had the pleasure of finally meeting Annette and we both raved on how big of a fan we both are, so keep up the wonderful work and enjoy this honeymoon period with Tommaso. Moving in together changes everything and usually for the better (at least in my case). 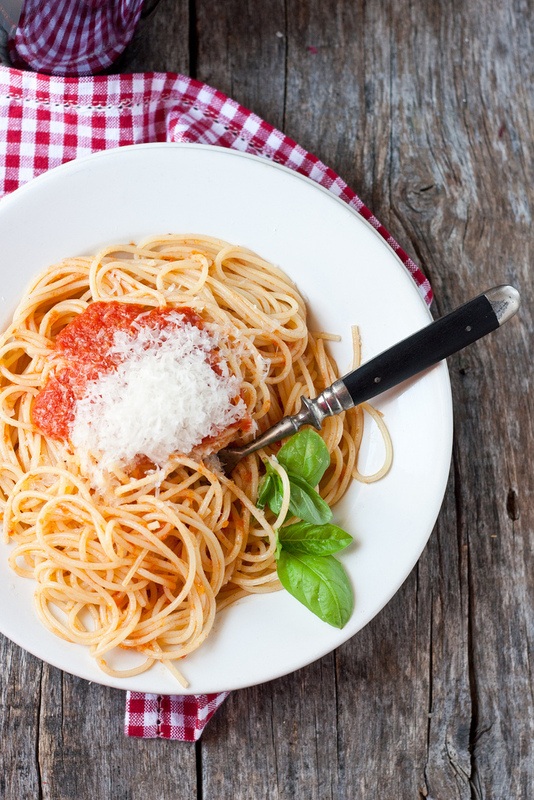 I will try this recipe when we get back from Calabria and let you know how it goes!